Our vision is a more resilient civil society that can protect vulnerable communities and a fragile environment within an increasingly restricted civic space. 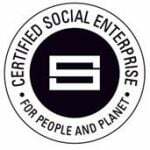 Our mission is to enable at-risk organisations and activists on the frontlines of civil society to achieve social and environmental change by ensuring their physical, digital and psychosocial security or through enhancing their campaigns with intelligence and research support. We will stand firm. We will defend our staff, partners, beneficiaries and clients against any criminal, corporate or government interests that attempt to cause them harm or injury because of their work. We will walk the walk. Our own physical, digital and psychosocial security policies and procedures will be the best that they can be in order to both protect our own staff and demonstrate and spread NGO good practice. We will do no harm. Through a strict code of conduct and effective safeguarding, whistleblowing, ethical and ‘no weapons’ policies we will ensure that no one who comes into contact with our staff or services is harmed by them. We will speak truth to power. We will never change what we know to be right in order to appease a powerful actor who may do us harm or grant us favour. We are an ethical and forces friendly employer. We recognise the positive benefits that marginalised groups and those who have served can bring to us as an organisation. We are a trusted provider. We only promise what we can deliver, and we always deliver what we promise. We also demystify security and remove the ‘smoke and mirrors’ that leave many organisations reliant on outside experts for their safety and security. Our standards are shaped by the Universal Declaration of Human Rights, the Code of Conduct of the International Red Cross and Red Crescent Movement and NGOs in Disaster Relief, the Humanitarian Charter, and the Code of Conduct for Members of the International NGO Safety and Security Association. We are also a signatory of the Charter for employers who are positive about mental health and the Armed Forces Covenant and a member of the UK government’s Disability Confident scheme. These standards are articulated in our code of conduct and our ethical, environmental and equal opportunities policies.